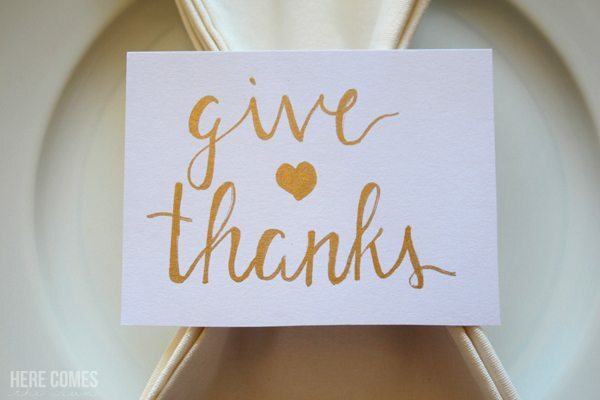 The Thanksgiving table. memories get made around this table. Delicious meals filled with cranberries and sweet potatoes and turkey. 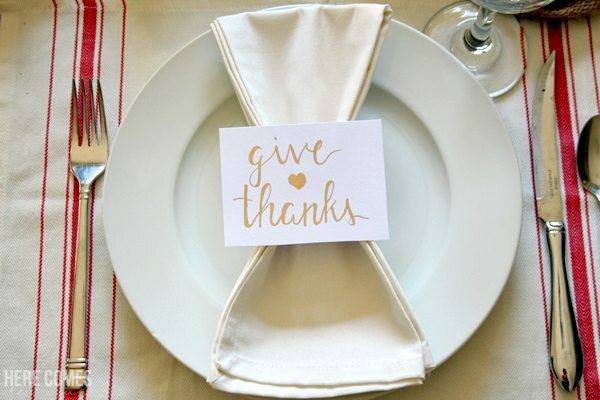 Putting together a Thanksgiving table doesn’t have to be difficult. 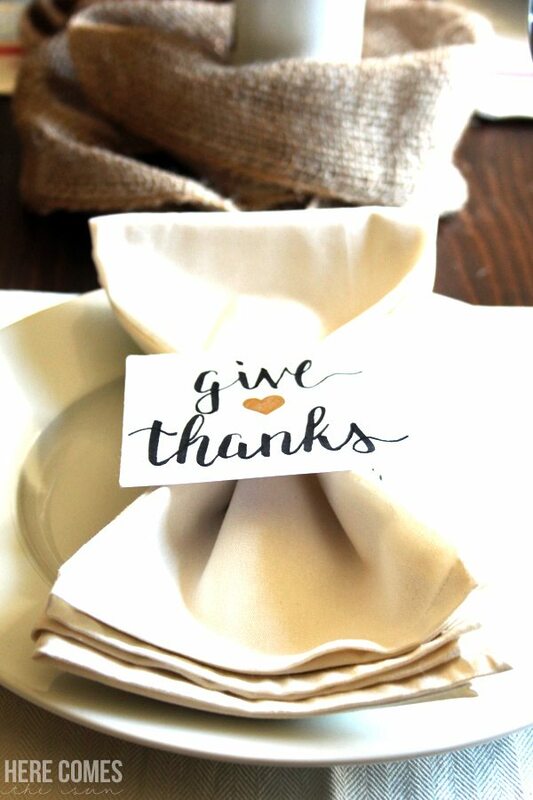 Place cards add a nice elegant touch to any table and are easy and inexpensive to make. I used cardstock, a Tombow dual brush pen and a gold paint pen. 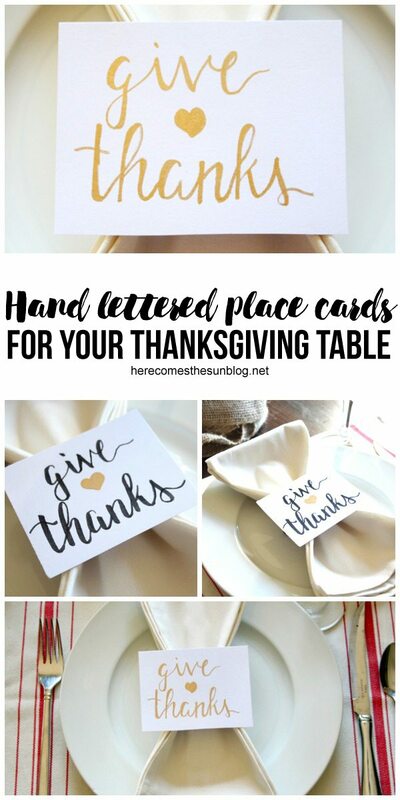 Cut your cardstock to whatever size you want. I suggest a size close to 4×3. Next, sketch out your design in pencil. 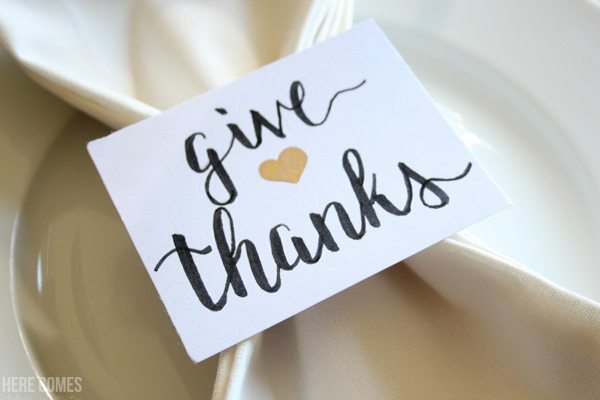 If you are really good a hand lettering, you can freehand it but I’m kind of a perfectionist and haven’t mastered my freehanding skills yet. The final step is to go over your pencil lines with a brush marker or a gold paint pen. I really love the shimmer of the gold. 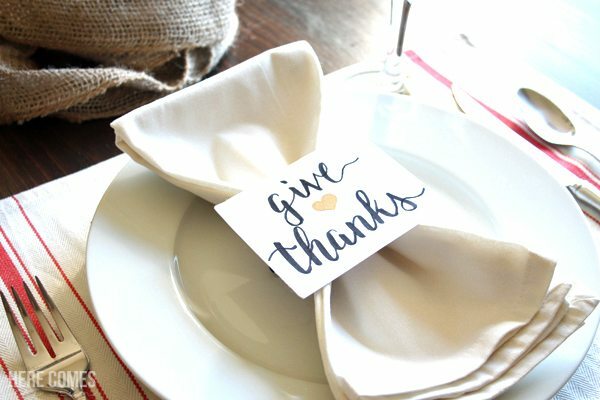 Tie your napkin in the center with a string and place your Thanksgiving place card over it. Take some time to really be grateful for all that you have. 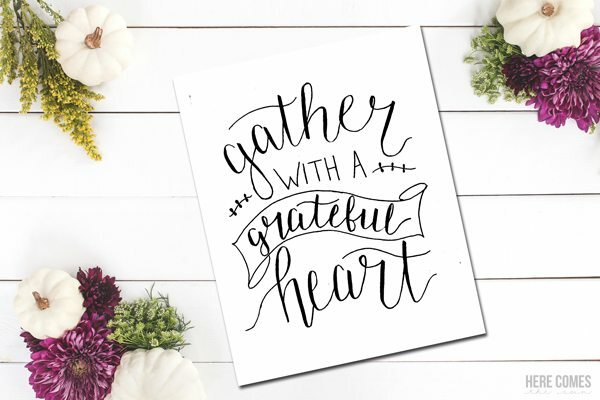 If you need more hand lettered holiday inspiration, download my Thanksgiving print. Click the image below for access.